The minister responsible for the National Disability Insurance Scheme has urged families with concerns about how the scheme is operating to make their views known. Tuesday marks one year since the scheme was launched in the Barwon region of Victoria, the Hunter region of NSW as well as in South Australia and Tasmania. New trials will begin on Tuesday in parts of Perth and the Barkly region of the Northern Territory as the scheme is rolled out across the ACT. In an interview to mark the first anniversary, the Assistant Minister for Social Services, Mitch Fifield, said an important function of the trials was to learn lessons that would improve the scheme. Fairfax Media last week reported families of children with autism were only receiving funding for six hours of therapy per week, less than one-third of the recommended 20 hours. 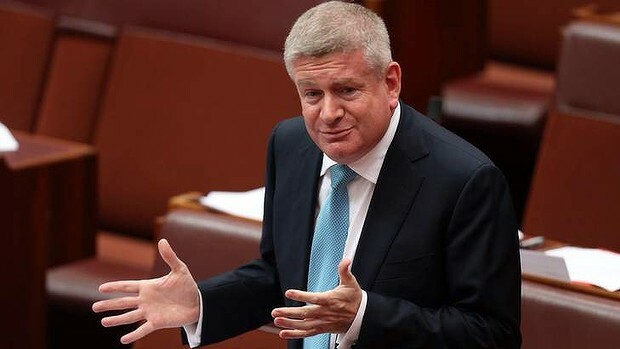 Senator Fifield said concerns should be registered with his office, with the National Disability Insurance Agency, and with the parliamentary committee overseeing the rollout. ''Now is the time for parents who have concerns about the operation of early intervention to make sure that those are heard,'' he said. The Gillard government launched the scheme a year ahead of the timetable proposed by the Productivity Commission, and a review released in March found the ambitious timeframe had compromised planning. NDIA chairman Bruce Bonyhady said given the complexity of the challenge, the results of the scheme in its first year had been ''remarkable''. Mr Bonyhady, whose submission to Kevin Rudd’s 2008 ideas summit kickstarted debate about a National Disability Insurance Scheme, is, with the agency board, finalising advice to Commonwealth, state and territory disability ministers on whether the current rollout timetable for the scheme should be revised. On the agency's satisfaction scale, where -2 means extremely dissatisfied, and 2 means extremely satisfied, the average rating by scheme participants is 1.66. ''We are closer to extremely satisfied than satisfied on average,'' he said. The agency's most recent quarterly results show the average cost of support packages has been brought down to below the budgeted cost for the first time. ''Against the doubts of many, we've achieved an enormous amount,'' Mr Bonhady said. In 2019-20, its first full year of operation, the scheme is expected to provide support for 460,000 people at a cost of $22 billion.